This is a powerful witness to Christian charity, virtuous living and being a disciple of Jesus Christ. Read the article and see if it is possible to do the Lazarus Ministry here in Connecticut. 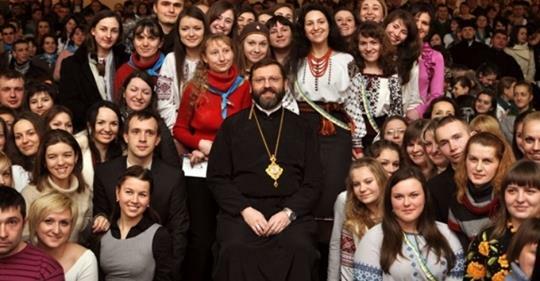 Can the parishioners of St Michael the Archangel Ukrainian Catholic Church might want to take up this ministry, or at least participate in it? 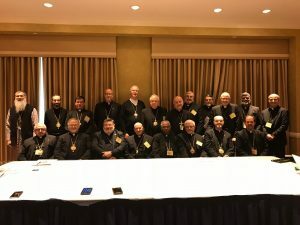 Pray for these our Eastern Catholic bishops in the USA. St John Chrysostom, pray for us. 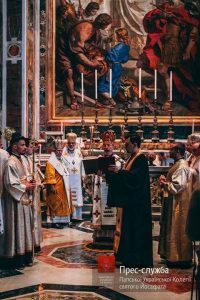 On Saturday, 11 November, there was a Divine Liturgy at St. Peter’s Basilica (Rome) over the tomb of St. Josaphat at the Altar of St. Basil the Great, as part of the festivities at St. Josaphat’s Pontifical Ukrainian College commemorating the 85th anniversary of its establishment and the Feast of St. Josaphat the College’s patron.rday, 11 November, there was a Divine Liturgy at St. Peter’s Basilica (Rome) over the tomb of St. Josaphat at the Altar of St. Basil the Great, as part of the festivities at St. Josaphat’s Pontifical Ukrainian College commemorating the 85th anniversary of its establishment and the Feast of St. Josaphat the College’s patron. 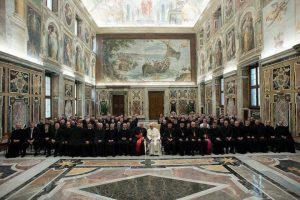 The Roman Pontiff, Pope Francis, welcomed the bishops, monks, priests and seminarians from St. Josaphat’s Seminary to celebrate the Seminary’s 85th anniversary. 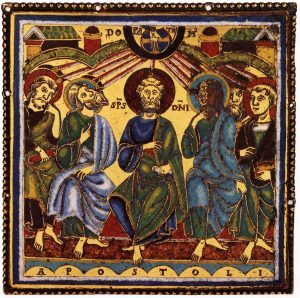 The November 9th was covered by Vatican Radio (with an audio of the event). May Our Lady of Tenderness continue to bless the work of the Seminary! Let us pray for the dignity of all life, from natural conception to natural death. 1. Personal/Family. As we close these Mission Days let us look at the list of gifts and fruits of the Holy Spirit. Let us ask ourselves: what gifts do I see in my family, what fruits have I brought over the past year. 2. Parish. Let us open our eyes to the gifts of the Holy Spirit in our parish community. In planning our parish life let us focus on the fruits of the Holy Spirit we would like to bring forth. 3. 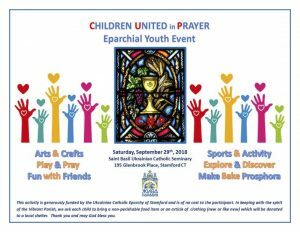 Beyond the parish. Let us teach ourselves to see our personal behav- ior and our entire life in the Christian community through the lens of mission: as an opportunity to bear witness to God’s love and goodness before others.